Pre-heat oven to 180°C (160°C). Place almonds on a baking tray and cook for 8 minutes or until golden. Set aside to cool. Line a tray with baking paper which will fit into the refrigerator. Combine the almonds and sultanas in a bowl. Place the different chocolates into 3 separate heat proof bowls. Place over a saucepan of gently simmering water and mix until melted. Add ⅓ of the almond mixture to each bowl of chocolate and mix well. Place spoonfuls of mixture onto lined trays and shape into a nest, using the back of the spoon to make an indent in the centre. Refrigerate for approx. 1 hour until set. 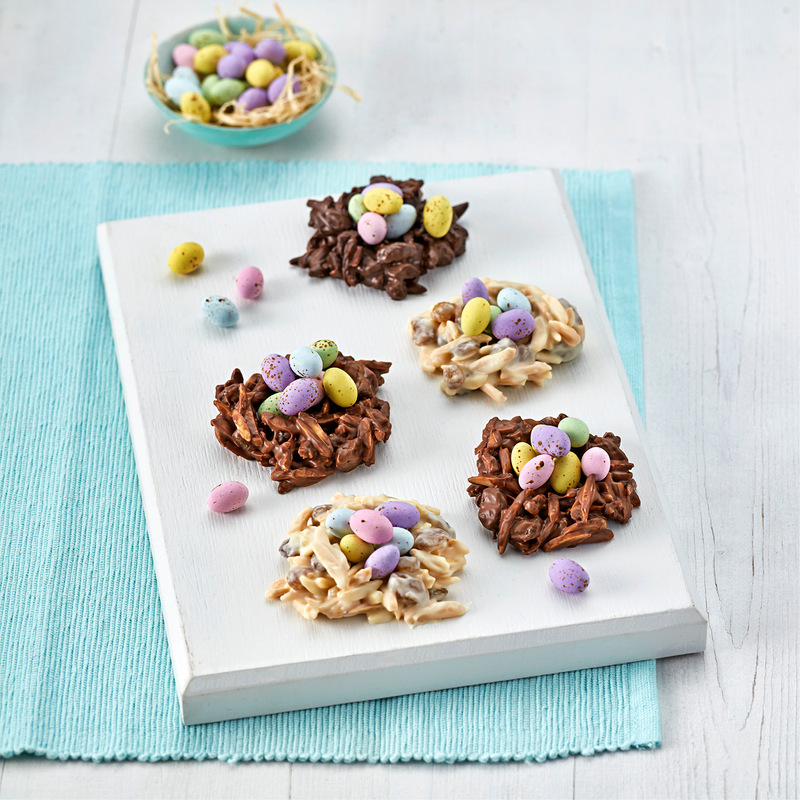 Decorate with small easter eggs.